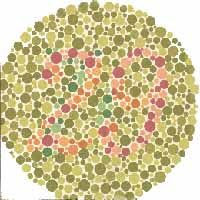 Can you see what's the number shown in the figure above? If you still cannot figure out what the hack is this, i guess u are having the same problem with my youngest bro KF, i.e. COLOUR BLINDNESS. 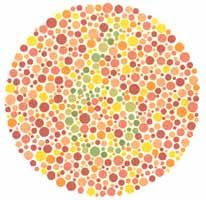 And after this test, we can thus comfirm that he REALLY has colour-blindness. LOL. Luckily he still can recognise the colour of the traffic lamp. lolX.